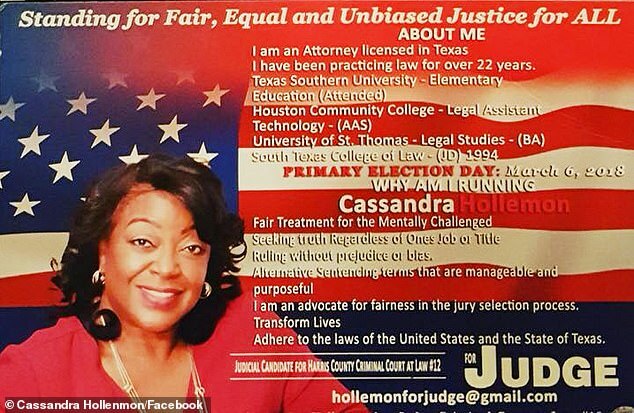 A Houston judge, who was elected in November as part of a 'Black Girl Magic' campaign along with 16 other women, has died of pancreatic cancer. Cassandra Hollemon, 57, passed away on Monday at around 1am, surrounded by family and friends, at Harris Health Ben Taub Hospital, Fox News reported. Her children said she only found out about the cancer last week. 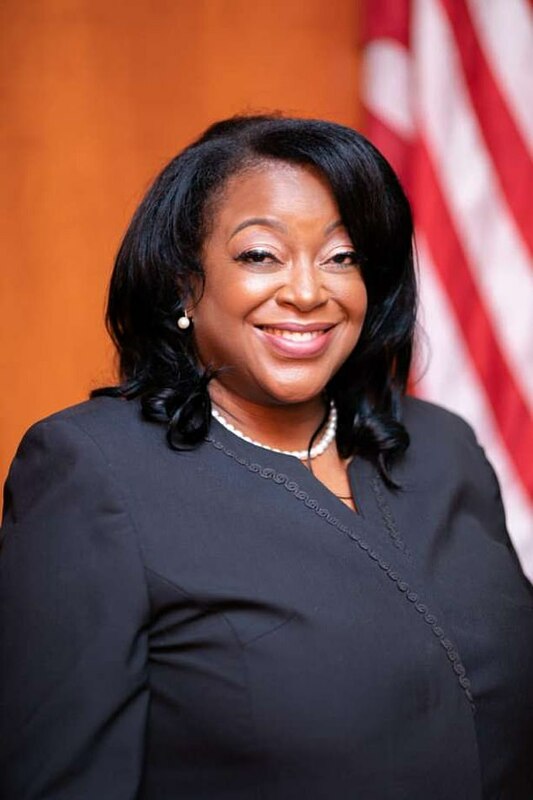 Hollemon presided over Harris County Criminal Court of Law 12 since January 1, when she was sworn in by newly elected Harris County Judge Lina Hidalgo. 'Finally reaching this, then getting this devastating news, it’s just heartbreaking,' her son said. 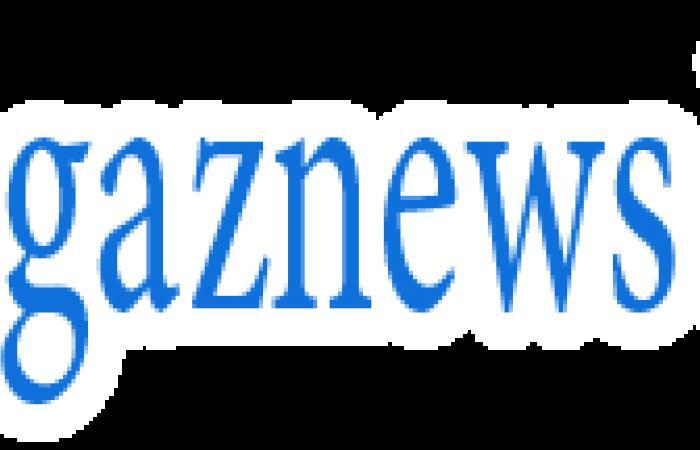 'She turned out to have blood clots in her lungs, pulmonary embolisms which was caused by the pancreatic cancer,' her daughter, Brandy Hollemon, said. Hollemon was told she had Stage 4 pancreatic cancer in early February, after being misdiagnosed with chronic bronchitis in December, her children said. 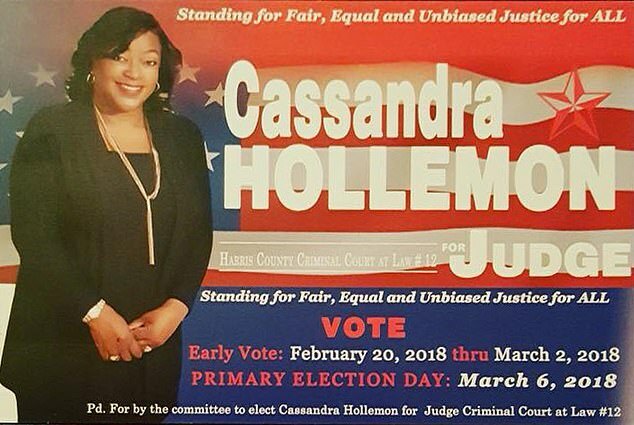 Before her election, Holloman had been practicing law for over 22 years, according to her campaign materials, shared on Facebook. She graduated from the South Texas College of Law in 1994, after earning a Bachelor of Arts degree in Legal Studies from the University of St. Thomas. Girl mistakes glass of salt for her shot of tequila.